For a number of years, I had the privilege of being immersed in the culture and literature of the Faroe Islands. The archipelago’s thriving community of passionate, engaged artists was a source of inspiration to me at a crucial juncture in my life. Living in a place where art automatically acquired an audience, and tangible presence in society at large, was a profound experience; indeed, every work of art seemed to present an opportunity for the critical re-evaluation and negotiation of cultural values and identity. As you might expect, however, things have a way of becoming personal and political very fast in a land of scarcely 49,000 people. Yes, it is sad to see the value of Faroese art and culture misappropriated to provide strategically convenient ways to galvanize constituencies and subvert constructive dialogue on a number of issues. All of the polarizing rhetoric often overshadows the fact that it has only been 74 years since educators in the Faroe Islands, many of whom were great writers, scholars and nation builders, finally secured the legal right to use Faroese as the language of instruction in public schools. In light of this, and countless other struggles for increased autonomy and improved educational opportunities in Faroese society throughout the years, how can Faroese artists and their endeavoring work be treated as anything but an integral part of the tiny nation’s economy and growth? In the spring of 2009, I began photographing a number of prominent Faroese writers and cultural icons. One by one, they allowed me into their homes and gave me a precious glimpse of their lives and the work they’ve done, on so many fronts, to help the Faroese people claim a more promising future for themselves. Truth be known, it takes an exceptional amount of courage to keep sailing towards new horizons in a society where many people would prefer that you drift along without rocking the boat. It was not until December 1938 that a royal decree officially permitted public school teachers to instruct classes and evaluate students in their native Faroese. Many teachers in the Faroe Islands did use Faroese as the language of instruction prior to 1938, but not without a certain degree of controversy. Priests were not officially allowed to deliver their sermons in the Faroese language until the spring of 1939. A complete Faroese edition of the Bible, translated by Victor Danielsen, was first published in 1949. In an article entitled “Iceland Banks on the Arts”, Duncan Geere argues that Iceland has recovered from its economic crisis much more quickly than projected by investing in the arts and developing creative industries. In November 2012, around the time when the Faroese government announced drastic budget cuts, Iceland’s minister of finance and economic affairs approved an extensive three-year investment program to further stimulate the growth of creative industries and tourism in Iceland. Carl Jóhan Jensen was born in Tórshavn in 1957 and spent his early academic career steeped in the literature and languages of Scandinavia. He made his debut in 1977 with the poetry collection Yrkingar and later earned degrees from the University of Iceland and the University of the Faroe Islands. Of all living Faroese writers, Mr Jensen is the most evolutionary in his usage of and experimentation with the Faroese language. A palimpsest layering of intertextual allusions, polyphonic narration, and meticulously woven symbolism characterize the content and structure of his work. His formidable, groundbreaking novel Ó – Søgur um djevulskap earned him his second M. A. Jacobsen Literature Award and the third of his four nominations for the Nordic Council’s Literature Prize. Carl Jóhan Jensen is also an avid translator and critic known for his caustic reviews and theatrical readings. Dan Klein is the chief editor and journalist of the politically unaffiliated Faroese newspaper Oyggjatíðindi. He was born in Klaksvík in 1950 and experienced firsthand the rebellion his neighbors waged against authorities during the Klaksvík Conflict. For over 30 years Mr Klein has sparked controversy by fearlessly exposing various kinds of corruption and abuse in Faroese society. Despite the fact that he has been threatened, assaulted, repeatedly fined and even served jail time, Dan Klein continues to champion freedom of the press and give voice to Faroese citizens who would otherwise be ignored by the conservative mainstream media. As of September 2011, Oyggjatíðindi has been a weekly online publication. Freia (bottom right) is Dan Klein’s faithful sidekick at Oyggjatíðindi’s news desk in Hoyvík. Guðrið Helmsdal was the first Faroese woman to publish a collection of poetry written in the Faroese language. Lýtt Lot appeared in 1963 and signaled a modernist breakthrough in Faroese literature. Her striking precision of image and shift to a more personal poetics granted new perspectives on timeless themes. When Helmsdal received the M.A. Jacobsen Literature Award in 1974, the Faroese committee wrote: “Lýtt Lot and Morgun í Mars have opened a new chapter in Faroese literature by blazing a trail for women’s literature in the Faroe Islands”. Ms Helmsdal’s most recent bilingual collection, Stjørnuakrar-Sternenfelder, was published in Germany in 2006. Gunnar Hoydal was born in Copenhagen in 1941. He and his family returned to the Faroe Islands in August 1945 with the first passenger ship that sailed from Denmark after the end of World War II. In 1969, Mr Hoydal won the international Nordic Architectural Competition for his proposed plan to renovate Tinganes in Tórshavn. For the work that Gunnar Hoydal supervised, over the course of several decades, the municipality of Tórshavn won the Danish Architect Academy’s honorary kaleidoscope in 1991. Mr Hoydal received the M. A. Jacobsen Literature Award in 1982, and he has been nominated for the Nordic Council’s Literature Prize three times. For his prodigious contributions to Faroese literature and art, he was awarded the Faroe Islands’ most prestigious cultural award, Mentanarvirðisløn Landsins, in 2002. Gunnar Hoydal’s semi-autobiographical novel, Under Southern Stars (2003), has been translated to English and is published by Mare's Nest. Jens Pauli Heinesen (1932-2011) was raised on a farm in the village of Sandavágur on Vágar. His literary debut was a collection of short stories, published in 1953, and the first of his many novels appeared five years later. Mr Heinesen's work is characterized by its deep psychological insight and focus on Faroese society's struggle with modernity. In 1970, he retired from teaching so that he could dedicate himself to his writing Mr Heinesen, the Faroe Islands’ most prolific writer, authored an astonishing array of novels, short stories, poems and plays. He also translated works and edited textbooks as well as literature for Faroese children. 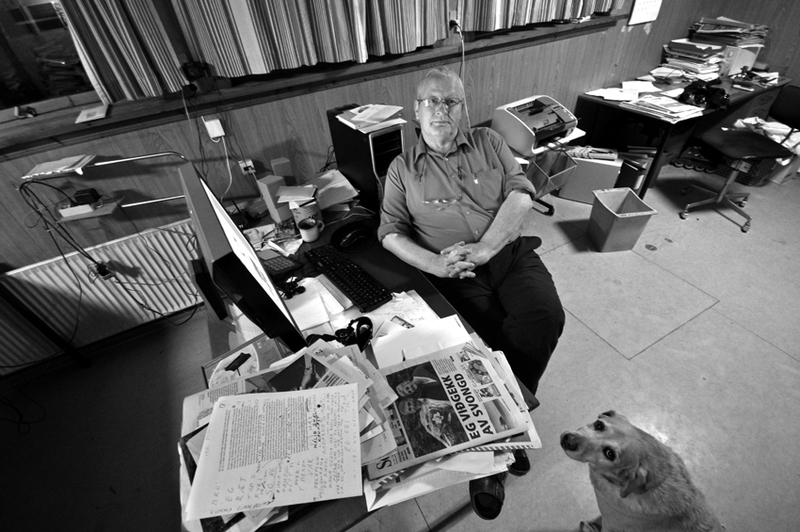 Jens Pauli Heinesen won the M. A. Jacobsen Literature Award on four separate occasions, was twice nominated for the Nordic Council’s Literature Prize, and won the Faroe Islands’ Mentanarvirðisløn Landsins for lifetime achievement in 1999. [/pullquote][pullquote]Jóanes Nielsen was born in Tórshavn in 1953 and published his first poetry collection, Trettandi mánaðin, in 1978. He worked at sea and on land for 30 years, all the while becoming notorious for his devout communist views and outspoken criticism of Faroese society. He has since further distinguished himself as a successful playwright, poet and novelist. His play Eitur nakað land week-end? won the Nordic Drama Award in 2002, and he has twice won the M. A. Jacobsen Literature Award in addition to being a five-time nominee for the Nordic Council’s Literature Prize. In 2011, Mr Nielsen was awarded Mentanarvirðisløn Landsins, and he recently became the first Faroese author to have his work translated for release by a major publishing house. Katrin Ottarsdóttir’s film, Traces Grow Out of Words (2009), is an intimate portrait of the life and work of the dynamic Jóanes Nielsen. 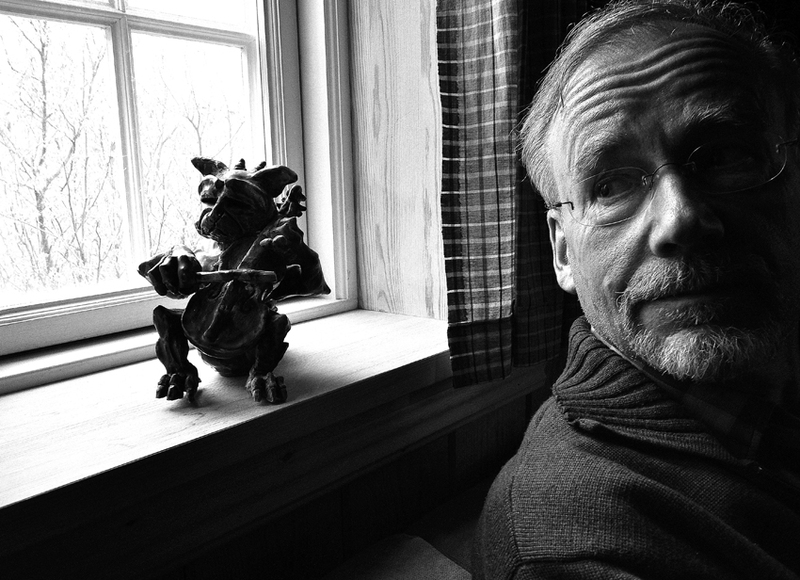 Jóanes Nielsen was born in Tórshavn in 1953 and published his first poetry collection, Trettandi mánaðin, in 1978. He worked at sea and on land for 30 years, all the while becoming notorious for his devout communist views and outspoken criticism of Faroese society. He has since further distinguished himself as a successful playwright, poet and novelist. His play Eitur nakað land week-end? won the Nordic Drama Award in 2002, and he has twice won the M. A. Jacobsen Literature Award in addition to being a five-time nominee for the Nordic Council’s Literature Prize. In 2011, Mr Nielsen was awarded Mentanarvirðisløn Landsins, and he recently became the first Faroese author to have his work translated for release by a major publishing house. Katrin Ottarsdóttir’s film, Traces Grow Out of Words (2009), is an intimate portrait of the life and work of the dynamic Jóanes Nielsen. Jóhan Hendrik Winther Poulsen is a linguist and preeminent authority on the Faroese language. He was born in the southernmost Faroese village of Sumba in 1934 but spent most of his childhood in Skopun on Sandoy. He earned his MA degree in Old Norse Philology from the University of Copenhagen in 1966 and returned to the Faroe Islands two years later to join the Faroese faculty of the archipelago’s newly established university. There he was instrumental in producing a new Danish – Faroese dictionary and subsequently developed a radio program called Orðabókin. The program engaged listeners in matters concerning the Faroese language while also collecting previously undocumented material for a comprehensive Faroese dictionary. Mr Poulsen’s dedication and meticulous scholarship culminated in the islands’ first native dictionary, Føroysk Orðabók, in 1998. For his pioneering work, Jóhan H W Poulsen was appointed a professor at the University of the Faroe Islands, won an M.A. Jacobsen Award, and has received the Faroe Islands’ Málrøktarvirðisløn Landsins. Oddvør Johansen was born and raised in Tórshavn. She attended a folk high school in Sweden and later enrolled at the Royal Danish Academy of Music to become a professional organist. Altogether, she lived in Denmark over a decade before returning to the Faroe Islands with her husband and children in 1987. Ms Johansen made her debut as a novelist in 1982 with the M. A. Jacobsen award-winning Lívsins summar. Her work was groundbreaking in the Faroe Islands for its accessibility and insight into the everyday struggles faced by Faroese women. She has also regularly written novels, essays, poems, short stories and children’s books. Ms Johansen won the Faroese Children’s Literature Award in 1989, has twice received M.A. Jacobsen’s Literature Award, and her novel Í morgin er aftur ein dagur was nominated for the Nordic Council’s Literature Prize in 2001. Since 2007, Oddvør Johansen has been the organist of Hoyvík Church just outside of Tórshavn. Sólrún Michelsen grew up in the village of Argir just outside of Tórshavn. She retired as CEO of her family’s wholesale business in 2008 in order to fully devote herself to her writing career. Mrs Michelsen initially delighted readers with a variety of literature for children and young adults. For these books, she received the Faroese Children’s Literature Award in 2002 and was subsequently nominated for the West Nordic Children’s Literature Prize. Her debut novel, Tema við slankum, was published in 2007. This intricately woven tale depicts the rapidly changing Faroese society of the 1950s through the intense and sometimes disturbing experiences of an adolescent girl. Mrs Michelsen’s acclaimed debut earned her the M. A. Jacobsen Literature Award in 2008. Steinbjørn B. Jacobsen (1937-2012) was a prolific and highly respected Faroese poet, essayist, novelist, playwright, children’s author, political activist, translator and educator. He was born on the southernmost Faroese island of Suðuroy and made his debut in 1966 with an avant-garde collection of poetry entitled Heimkoma. He had a long career as a dedicated teacher and also served as headmaster of the Faroese Folk High School from 1970-1980. Mr Jacobsen authored over 50 titles, was a recipient of the M.A. Jacobsen Literature Award, and twice won the Faroese Children’s Literature Award. In 2008, Faroese record label TUTL released Tinna og Tám, a CD featuring Mr Jacobsen reading some of his most popular poetry to the original music of Danish composer Kristian Blak. Tóroddur Poulsen is a poet, graphic artist and musician born in Tórshavn in 1957. Since his literary debut in 1984, Poulsen has published over 30 books and become an inimitable force in Nordic literature. His work is famous for its gallows humor, piercing observations and semantic somersaults. Mr Poulsen’s colorful reading style and rebellious alter ego, The Garage God, have also earned him a reputation as the 'Punk Poet' of the Faroe Islands. Katrin Ottarsdóttir’s film, A Line A Day Must Be Enough (2008), documents the day-to-day life of Tóroddur Poulsen as well as his complicated relationship with his native culture. Poulsen has been nominated for the Nordic Council’s Literature Prize on five separate occasions, has twice received the M.A. Jacobsen Literature Award, and also recently won Mentanarvirðisløn Landsins. Randi Ward is a writer, translator, lyricist and photographer from West Virginia, USA. She earned her MA in Cultural Studies from the University of the Faroe Islands in 2007. Her work has appeared in The Bitter Oleander, Beloit Poetry Journal, Cold Mountain Review, Anthology of Appalachian Writers, Skidrow Penthouse and other publications.